MBOX to PST conversion isn’t straightforward. MBOX, as a data file, is a generic file compatible with many clients and programs, but it is most commonly associated with Mac Mail. But funny enough, MBOX was natively used with Mac Mail with its very first version. After that, Mac Mail started using EMLX files to store email messages, one EMLX file for each email and EMLXPART to store the attachments. You can find your folders and messages in sub-folders to the V3 folder. Now, if you will look closely, the files that are present there have .mbox as extensions. But they are file packages, special type folders that you even open and view the contents like any other folders. They are not standard MBOX files. Nevertheless, MBOX is still more closely related to the Apple Mac OS X environment. And it can be used with Mac Mail, Thunderbird, and other clients easily. On the other hand, PST, short for Personal Storage Table, is a native Windows Outlook file. It’s a proprietary file format from Microsoft that doesn’t come in use with other email clients. Mac Outlook version can still import data from PST file, but it is not a native file. You cannot export, archive, or backup data in PST format, and it cannot be used internally like it can be with Windows Outlook. So, with such varying nature of both files (MBOX and PST), there lies a huge confusion about how to convert MBOX to PST. And even bigger question, should you convert MBOX to PST conversion on Microsoft Windows or Mac OS X environment. Since both files work in different environments mostly, it’s a difficult question to answer. Where will be the process most efficient and seamless? Most of it depends on how the converter is built by the developers. There aren’t any official conversion utilities from either Microsoft or Apple to convert data, so you have to rely upon third-party solutions. If you take a look at most of the conversion utilities, they are Windows based, which gives an assumption that it’s better to go through MBOX to PST conversion on Microsoft Windows rather than on Mac. But it’s a false assumption. And the truth is that with Mac environment comes a lot of benefits while converting these complex files. However, it remains a very hard job to develop correct algorithms to actually convert with stability and safety in Mac. 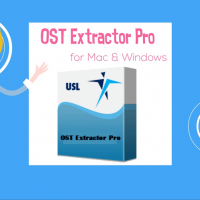 But the good news is that USL Software has brought a Mac compatible tool called “Mail Extractor Pro” that features many options and powerful conversion logic that isn’t possible with Microsoft Windows compatible tools. 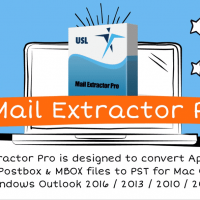 “Mail Extractor Pro” allows non-English text conversion, batch conversion of multiples files at the same time, 100% data integrity preservation, splitting large PST files, and more. All such necessary functionalities are implemented incorrectly with MBOX to PST converter on Microsoft Windows based utilities. If you want to know more, it’s always good to check it out yourself. 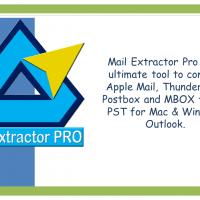 You can get the trial version to see and find out more about “Mail Extractor Pro” in detail. The link to download the setup is given below. Previous story MBOX to PST Converter for Mac – Only Converter That Extracts Data Cleanly!